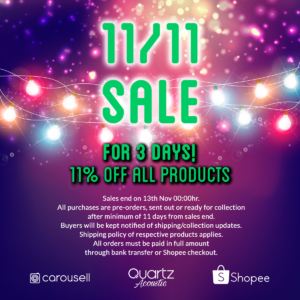 News1111 SALE for 3 days! 11% OFF ALL Products! 1111 SALE for 3 days! 11% OFF ALL Products! 11th November is a huge day for online shoppers as everywhere has sales! We will be having a 3-day sale for this period starting right now! ALL of our products are on a 11% off, until 13th November 00:00hr! 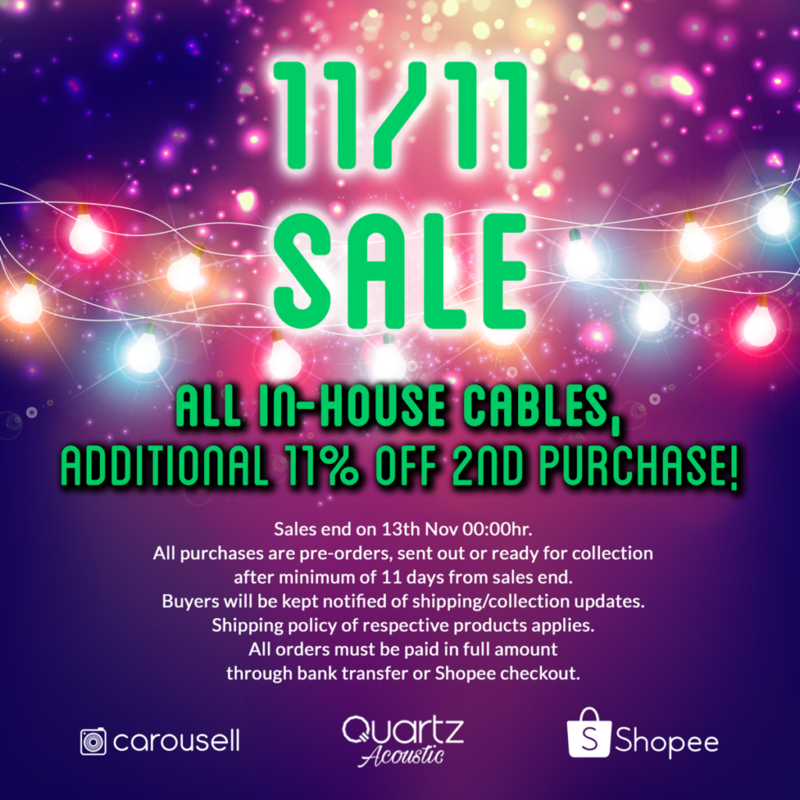 For in-house cables, there will be additional 11% off for the 2nd purchase! 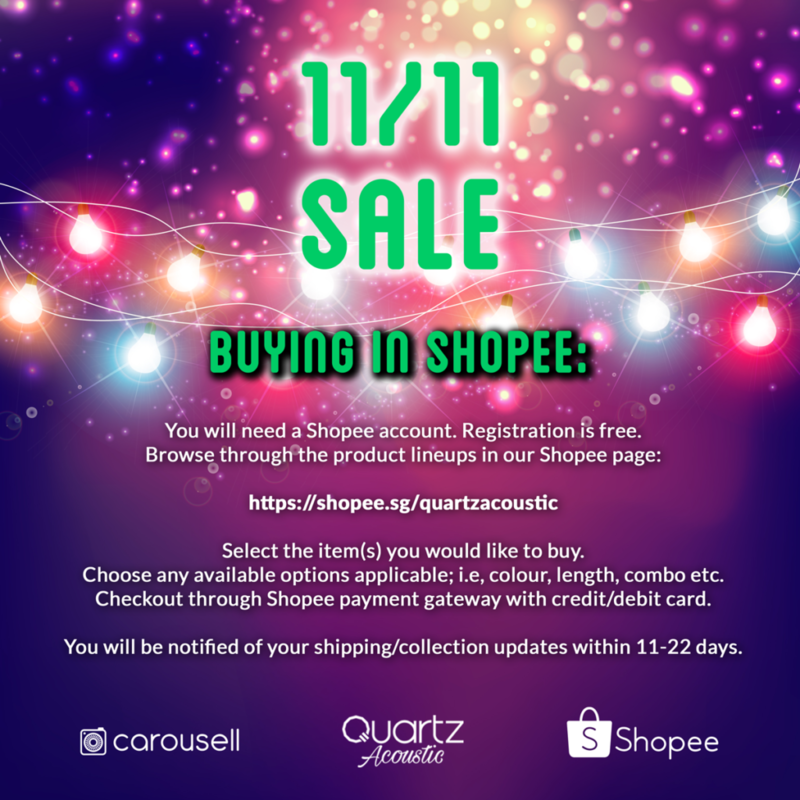 All orders product lineups are at Carousell or Shopee, for which both are the official platforms for this promotion this time. 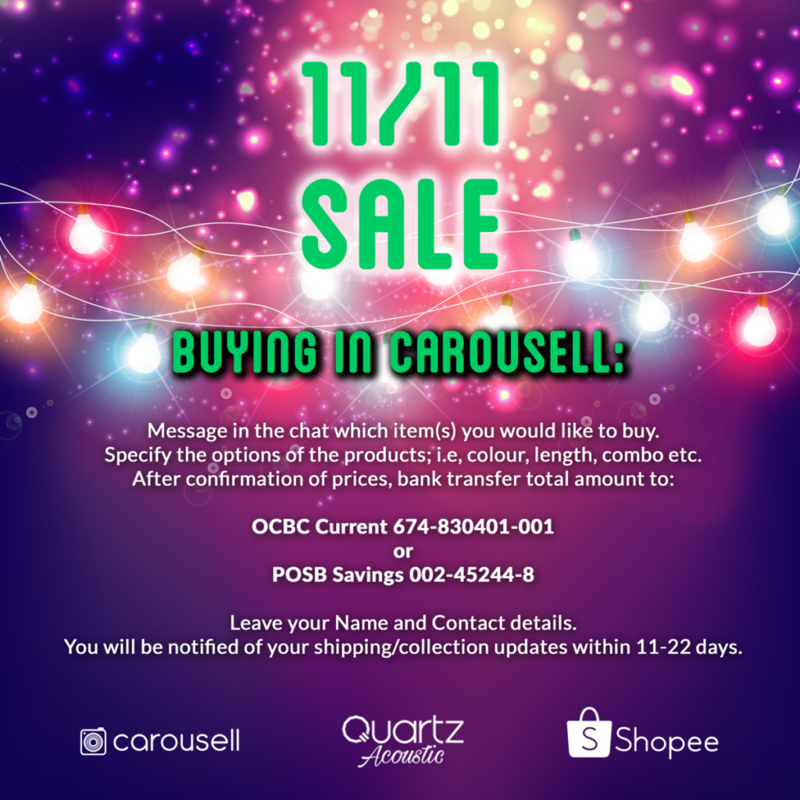 All prices in Carousell are before discounts! Sales end on 13th Nov 00:00hr. All purchases are pre-orders, sent out or ready for collection after minimum of 11 days from sales end. Buyers will be kept notified of shipping/collection updates. Shipping policy of respective products applies. All orders must be paid in full amount through bank transfer or Shopee checkout.